The GDPR Workbook created by Landmark in conjunction with GDPR Auditing Ltd, is the only bespoke compliance solution for UK accountants. When completed, the Workbook will provide evidence of compliance with the GDPR. In a matter of weeks, members in practice will need to be compliant with the new data protection regulations. After being approached by Bob Edwards FCCA – a long-serving member of the ACCA – we have also vetted a practical, hands-on solution designed to help practitioners and their clients prepare for the introduction of GDPR. Bob has created in a joint venture with GDPR Auditing Ltd which has developed a Workbook that takes a practitioner through a number of distinct processes. When completed, you will have a permanent record of your steps to compliance and have created the changes you will need to make to privacy notices, employees’ contracts and your contractual terms and conditions. The Workbook comes pre-populated with required information that is common to all UK practitioners. This should save you time and speed up your progress towards compliance. If required, Bob and his colleagues can verify that the work you have done is adequate or undertake the entire process for you. ACCA practitioners are eligible for a discount when purchasing the Workbook. To apply for the members’ discount – or if you have any questions – contact Bob Edwards at bob@landmarkpd.co.uk or call 01723 363 133. The Workbook is an Excel file that takes the user through a logical twelve step process. Includes changes to privacy notices and contractual terms with clients, staff and third-parties. Users are also given access to a portal that contains useful guides, templates and other reports. Deals with how to convert existing mailing lists into data you can use post 25 May 2018. Any changes in the GDPR will be integrated into the service. Bob Edwards has created blog posts that describe his experiences of completing the Workbook. Workbook can be verified by GDPR Auditing Ltd, or if you want to outsource the process, GDPR Auditing will undertake it for you. Data that is common to most practices is pre-populated to save you time. All the information you need to prove your compliance is recorded in the Workbook. Where necessary, the need for ongoing review of systems is clearly stated. Use Workbook to provide evidence of compliance to clients. This is a “hit the ground running” solution. Much of the below the surface bulk of the GDPR iceberg has been completed for you. A license to use the Workbook for your own self assessment. GDPR Auditing will undertake to complete the Workbook for you. * Verified option: When you are ready for us to verify that your work is adequate, contact us at support@gdprauditing.com and we will organise the collection of your completed workbook in the format we provided it to you. GDPR Auditing Ltd will invoice you for the verification fee of £800 plus VAT. On receipt of payment GDPR Auditing will verify the entries in your workbook providing commentary and advice where necessary. You can return the workbook for re-verification one further time – everyone needs a second chance. The Information Commissioner's Office (ICO) has fined Lifecycle Marketing (Mother and Baby) Ltd, also known as Emma's Diary, £140,000 for illegally collecting and selling personal information belonging to more than one million people. The data broking company, which provides advice on pregnancy and childcare, sold the information to Experian Marketing Services, a branch of the credit reference company, specifically for use by the Labour Party. Experian then created a database which the party used to profile the new mums in the run up to the 2017 General Election. We have issued an Enforcement Notice under the Data Protection Act 1998 requiring the London Borough of Lewisham to clear a backlog of subject access requests by 15 October. This comes after the council had failed to meet agreed deadlines. Those emails gave the impression they were sent by the clients directly, and EDML couldn’t prove that the recipients’ had ever given consent to receive marketing emails from its clients or itself. The Workbook is tested and supported on the above minimum system specification. The workbook may work on lower specification systems but we cannot guarantee or support the workbook on systems not meeting the minimum requirements outlined above. If you would like more information about what you need to run the workbook please contact us at support@gdprauditing.com. Can I print off pages of the Workbook? In most cases, yes you can. You will need to adjust your printer setting to get all the data across the page, but in truth this is not to be recommended. The Workbook is a permanent, updated record of your steps to compliance and your continuing review process to stay compliant. A printed copy is merely a snap-shot in time and unnecessary in our opinion as data may change. The Excel file should be your first port of call for all matters GDPR. Can I download Workbook information I may want to use in external reports and my website? Yes, you can. Where text is intended to be sent to third parties, your suppliers, staff etc, or used in online Privacy Notices, we have added a facility for you to download this copy to a Word file format directly from the relevant Workbook page. Can I download any of the guides or templates that are listed in my support portal? Most of the information shared with you on the portal has a read only status, so a download option is not presently available. The Templates and downloads section has a number of useful documents that you can download or copy. About the Information Security Policy that we are asking staff to sign off that they have read, understood and will comply, is there a downloadable version (preferably Word as a small number of tweaks to customise to our software etc) or are you OK with me giving all staff access via my login? To maintain the integrity of the documents in our portal we do not have a download option. However, it is fine to share your login details within your practice to facilitate compliance in this area. If I buy the Workbook template with the intention of completing it myself, can I still pay the extra fee and ask you to verify that the work I have done is OK? Or if I decide I would rather you did the work for me? No problem. Email support@gdprauditing.co.uk and we will advise you how to organise the verify or full audit process. When we are happy that we have completed the Workbook, and understand the issues involved, can we purchase Workbooks for our clients and help them achieve compliance? Yes you can. We are developing a formal reseller program that will be available shortly after the 25 May 2018 deadline. 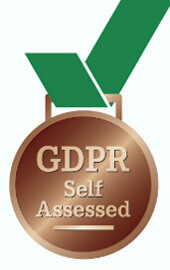 In brief, when you have completed your Workbook you will have to pay the additional fee to have your work verified by GDPR Auditing Ltd so that we are confident you have the necessary skills. You will then be able to buy access to discounted copies of our Workbook, formatted for your client, that you can resell (there will be a maximum RRP of £600 plus VAT), and you can then provide consultancy service to your client or approach GDPR Auditing to undertake this work in partnership with your firm. Wouldn’t the Workbook and portal documents be suitable for a bespoke online version? We agree, they would, and we are in the process of building this. We will ensure that Excel Workbook users will be able to upload their spreadsheet data to the online version when completed. This will provide subscribers with a permanent, secure place to manage their GDPR compliance activity. This should be available late summer 2018. We will advise as soon as the development work is completed. When the Workbook is completed is that it, job done. Can we get back to the day job now? The GDPR imposes ongoing duties to maintain, rather than just achieve compliance. The answer to your question is no, it is not “job done”. Your Workbook is a dynamic record, it will need to be updated as your circumstances change. We recommend a minimum a bi-annual review. You will need to take new staff and suppliers through the required compliance activity and adapt your records if you add new services that use clients or other third party personal data. The regulations are also subject to change and we will update material as required for subscribers. "I have had a brief look through the material and have to say I am slightly less fazed by the whole GDPR process as a result." "Like lots of advisers I’ve been crawling around the net for hours getting really confused about GDPR, then when I came across your GDPR Workbook and Guides my stress levels dropped a long way, and even more so when I started using them and realised how straightforward they were to work through. I’ve posted a link for colleagues on the CIMA ‘members in practice’ LinkedIn group, in answer to a thread running there about how little practical info there was about GDPR." "I would like to thank you for providing the tailored GDPR workbook and blog detailing your experience of completing the workbook. It is a great comfort to myself as a sole practitioner who is attempting to become GDPR compliant on her own. I don’t know what I would have done without you!" The Service allows one member of your organisation to use the workbook and have access to the portal. Items available for download form the site can be shared within your organisation (named on the workbook). You may not share the workbook or access to the portal with anyone inside or outside of your organisation. Anything you download from the portal may only be used within your organisation. You understand that GDPRA uses third party vendors and hosting partners to provide the necessary hardware, software, networking, storage, and related technology required to run the Service. GDPRA is not responsible for the content or continuity of the services provided by those vendors.